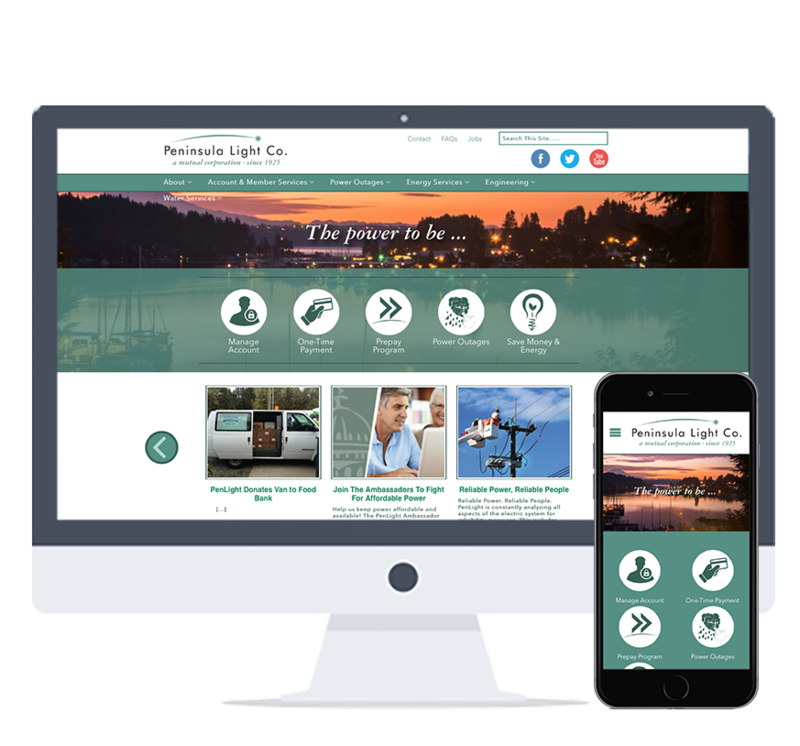 Accessible, Responsive Website - Ruralite Services, Inc.
Peninsula Light Company in Gig Harbor, Washington, enlisted Ruralite Services to redesign their website, PenLight.org. The new responsive design is mobile friendly, a great perk for PenLight members looking at the site on smart phones or tablets. But the biggest change was an eye toward Americans with Disabilities Act website accessibility guidelines. These design choices made viewing the site difficult for members with vision and cognitive challenges. Videos are not used on the site, but if they were, closed captioning would have been an issue. Interested in a new website? Let’s talk!